`Could you show me a djinn?' I asked. `Certainly,' replied the Sufi. `But you would run away.' 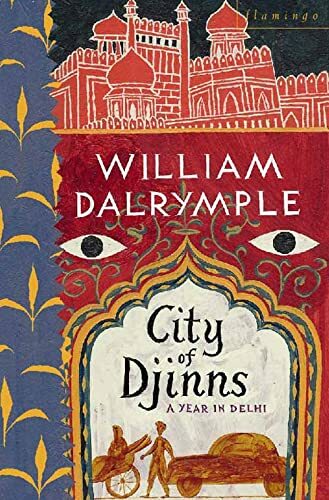 From the author of the Samuel Johnson prize shortlisted `The Return of a King', this is William Dalrymple's captivating memoir of a year spent in Delhi, a city watched over and protected by the mischievous invisible djinns. Lodging with the beady-eyed Mrs Puri and encountering an extraordinary array of characters - from elusive eunuchs to the last remnants of the Raj - William Dalrymple comes to know the bewildering city intimately. He pursues Delhi's interlacing layers of history along narrow alleys and broad boulevards, brilliantly conveying its intoxicating mix of mysticism and mayhem. `City of Djinns' is an astonishing and sensitive portrait of a city, and confirms William Dalrymple as one of the most compelling explorers of India's past and present.